The Ventana Double Cone, The Window, and Kandlbinder Peak. 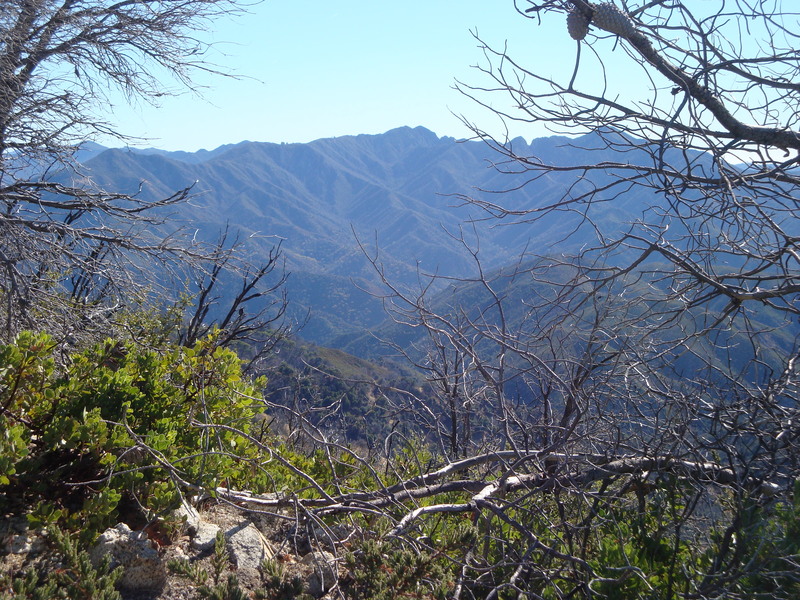 Palo Corona as viewed from Mt. Carmel. 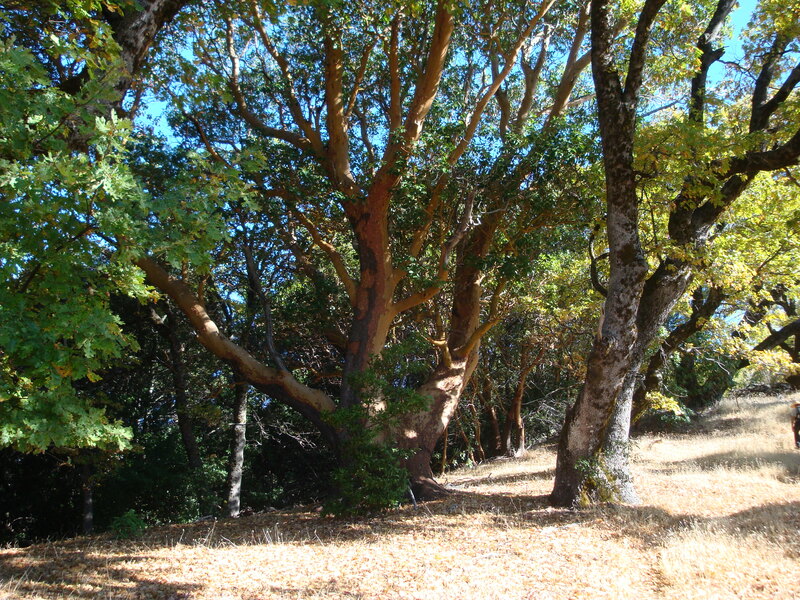 A corridor of public land now stretches from Mt. Carmel across Palo Corona and all the way to the mouth of the Carmel River. 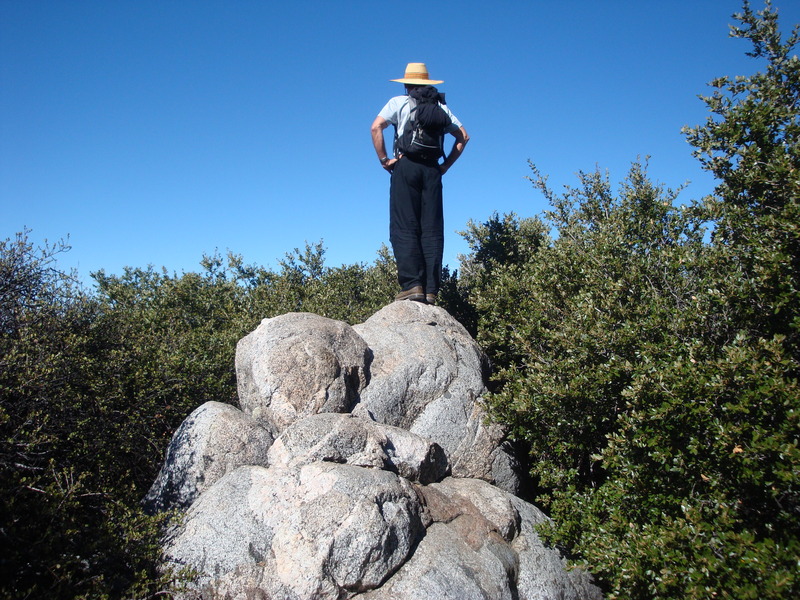 How long will we have to wait for a trail linking Garrapata State Park and Palo Corona Regional Park to the Ventana Wilderness? 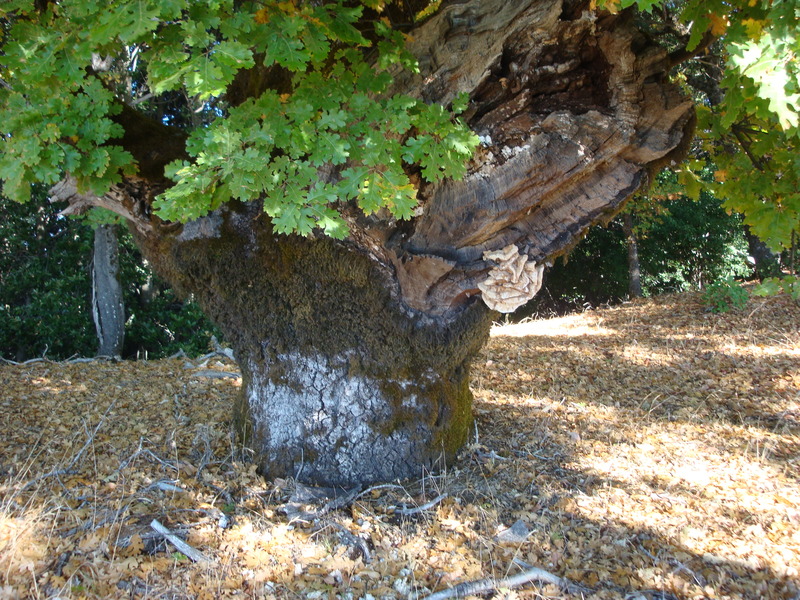 Sirxinta, the black oak (Quercus kelloggii). 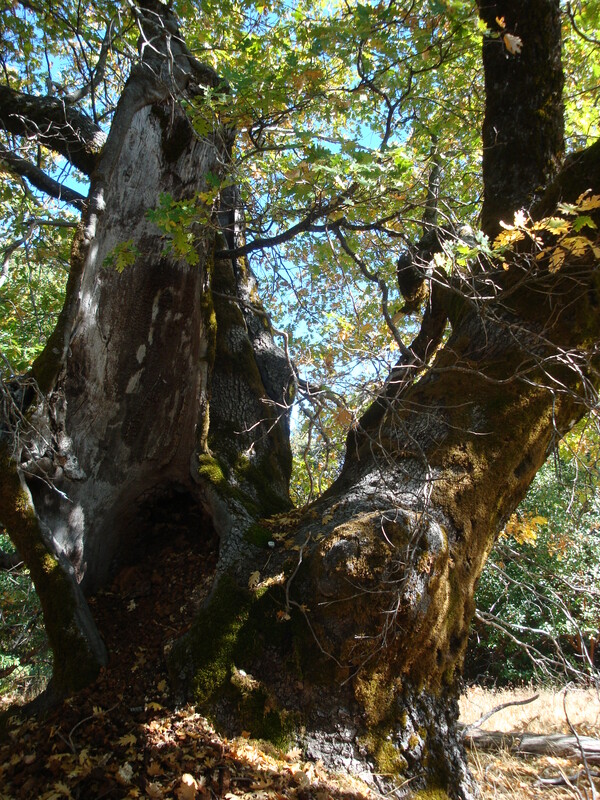 For how many seasons has this veteran stood watch over the Little Sur basin? 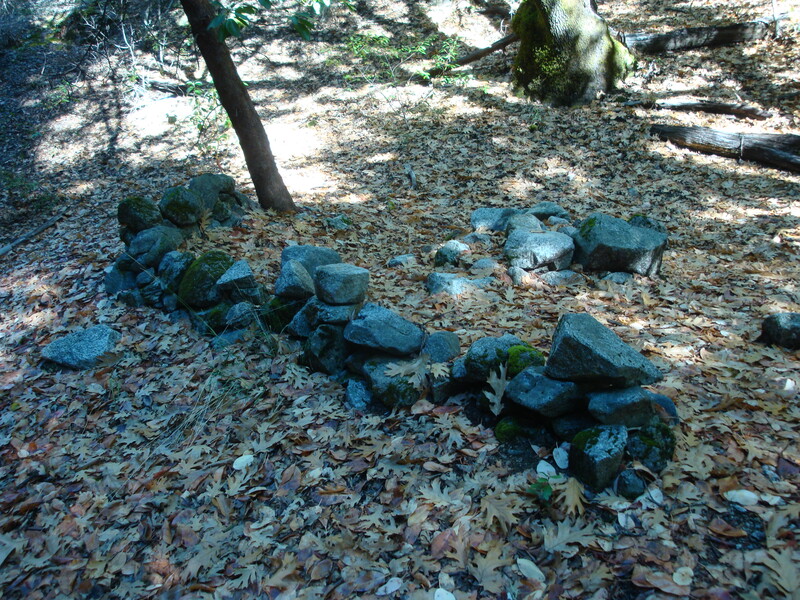 An old campsite, complete with fire ring and rock wall. This would be a nicer place to camp than the official Pine Creek Camp, except that it’s too far upstream for water to be reliable. 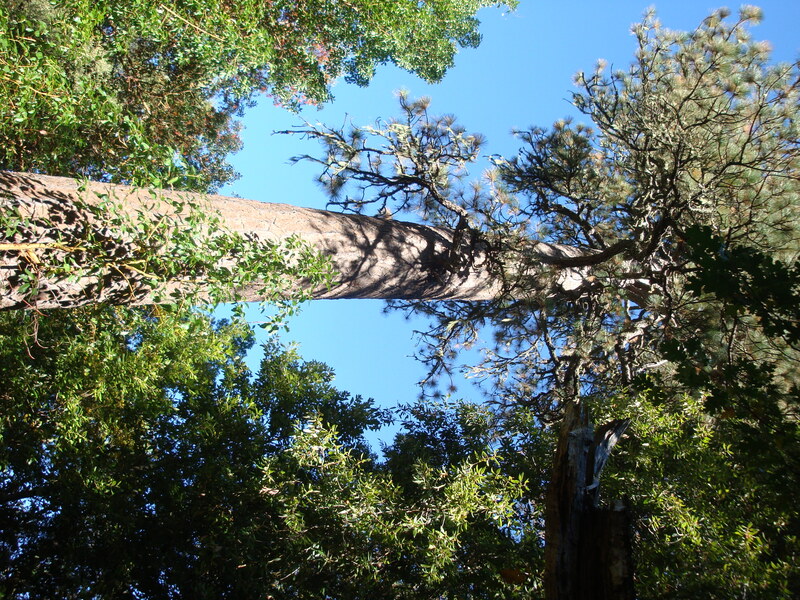 There isn’t a pine woods along Pine Creek, but huge ponderosas (Pinus ponderosa) are scattered about in the hardwood forest. 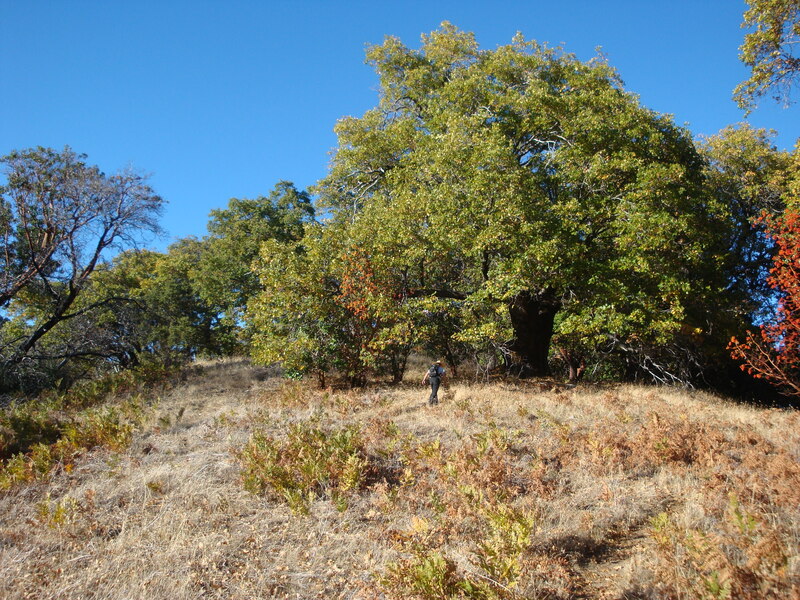 We were surprised to see large healthy stands of old tanbark oaks (Notholithocarpus densiflorus – that’s right, they’ve been moved to a new genus. Just weren’t closely enough related to the other Lithocarpuses, or something). 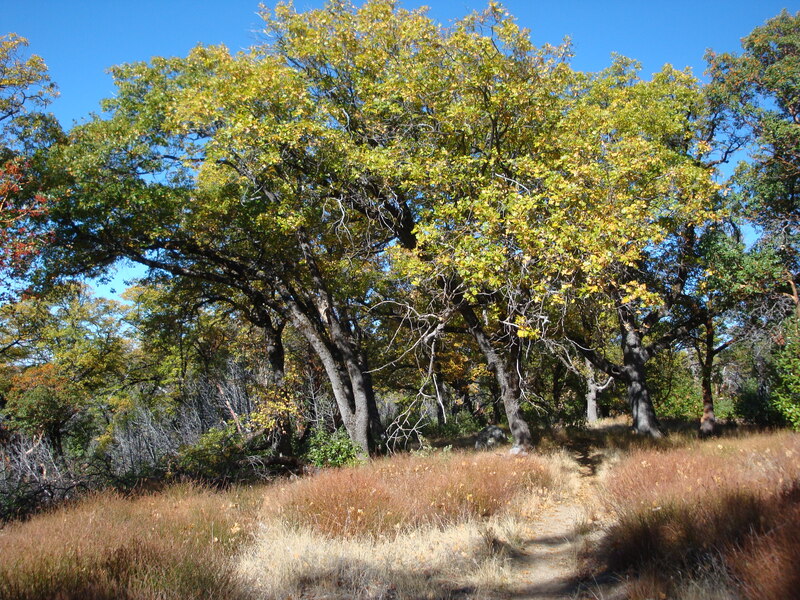 Thanks to Sudden Oak Death (Phytophthora ramorum) infestation, healthy tanbark forests are now a rare sight in the Santa Lucia Mountains. 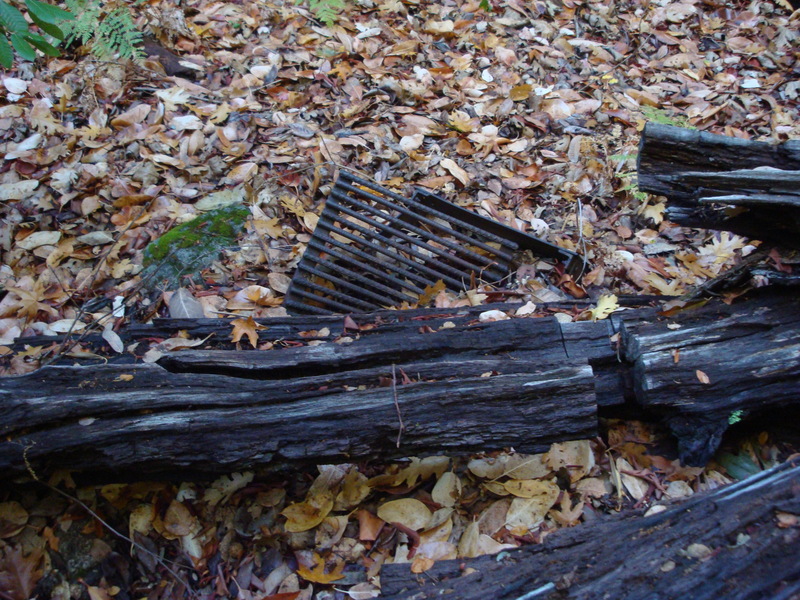 The fire grate at the official Pine Creek Camp was crushed long ago by a falling madroño. It’s been replaced by this fire ring, but Pine Creek Camp is far too dark and dank to be an attractive place to camp this time of year. It might be nicer in late spring or summer. 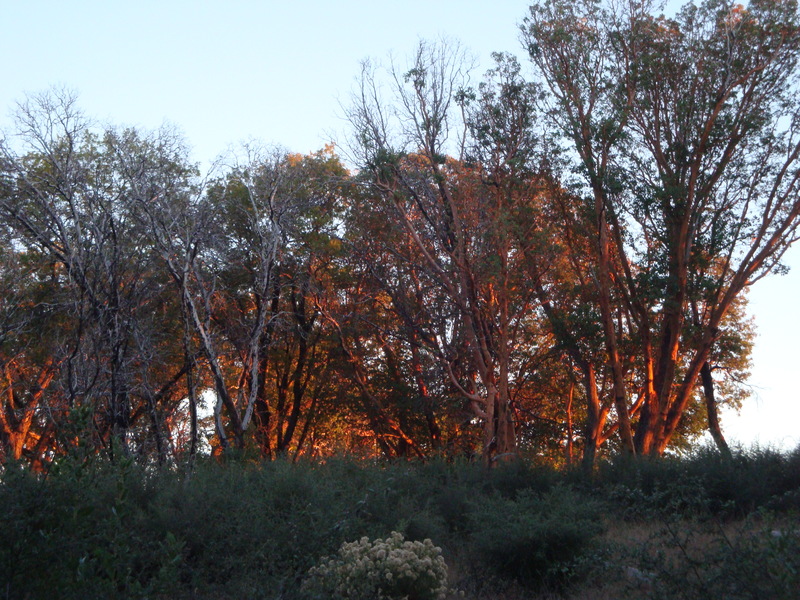 Downstream from Pine Creek Camp we began to encounter dead and dying tanbark oaks. 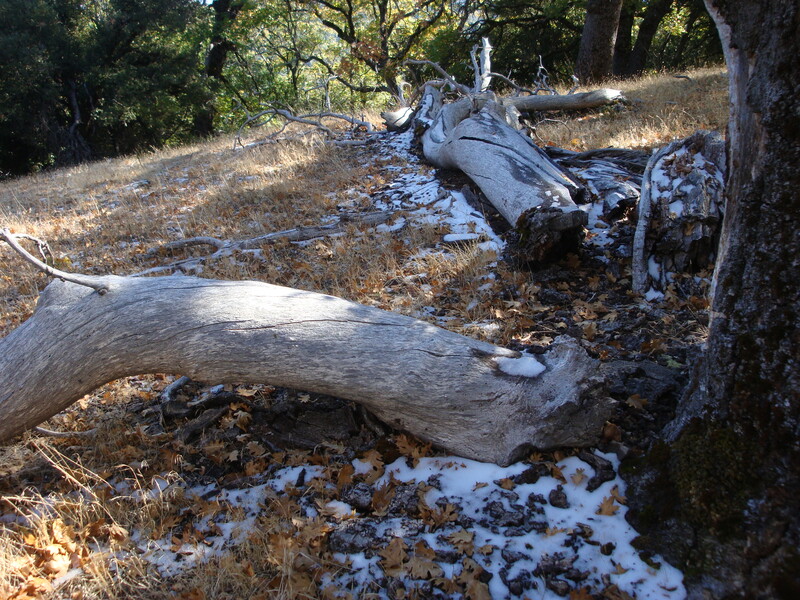 It looks like Sudden Oak Death is working its way up toward the big tanbark woods around the headwaters. Better go and see them soon. 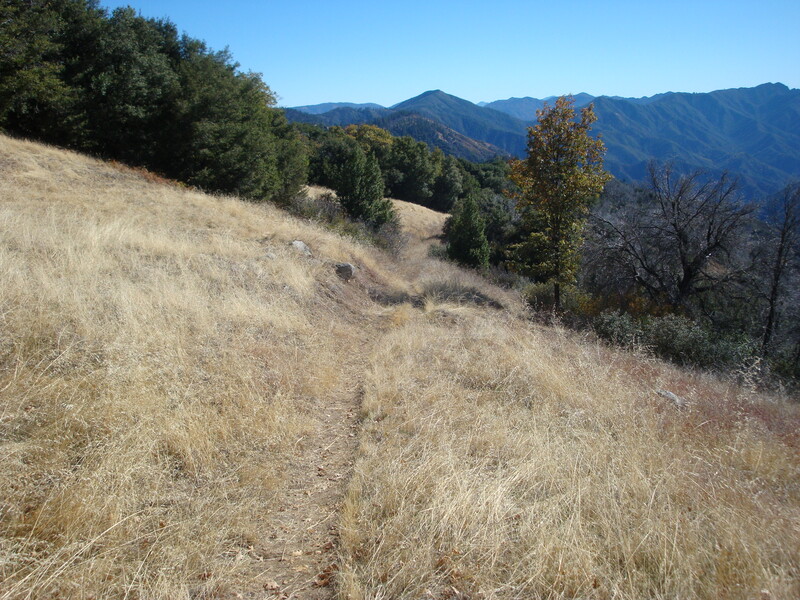 The trail soon leaves the creek and climbs to the top of Ponciano Ridge. 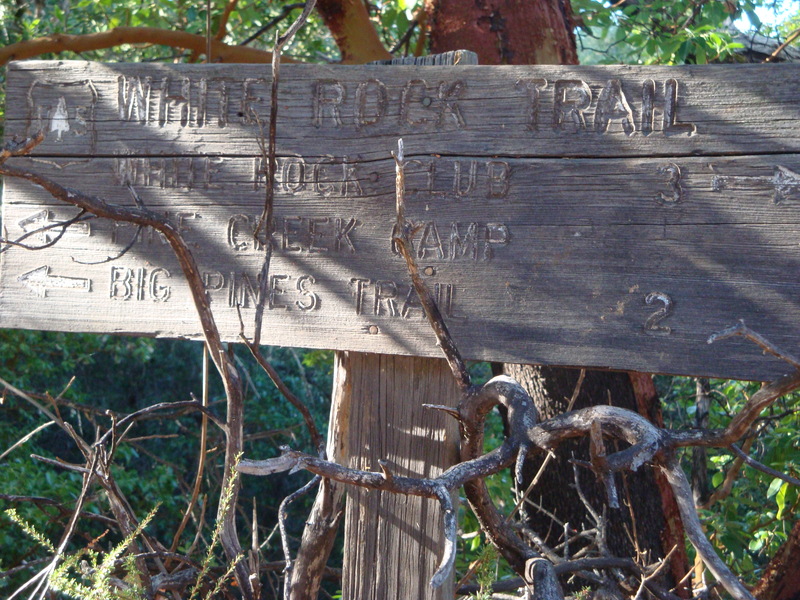 The ridge is too heavily forested to provide much view, but this sign still survives in the gap. It’s only 3 miles out to the Robinson Canyon Rd. at White Rock from here, but the White Rock people shut down public access ages ago and are known to be quite unwelcoming to confused hikers who wander out of the Wilderness along this trail. 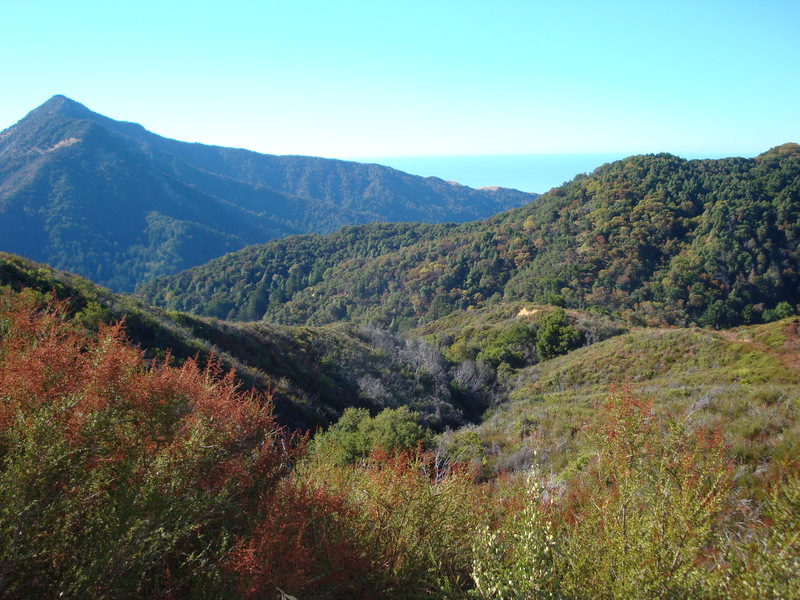 This entry was posted on Tuesday, November 13th, 2012 at 9:41 am and is filed under Big Sur, On Foot, Plants, Santa Lucias. You can follow any responses to this entry through the RSS 2.0 feed. You can leave a response, or trackback from your own site. Lovely pictures. Lovely story, it is so nice to be able to take a trip home to the mountains, even if it’s thru others pictures. Thank you. Lovely photos; thanks for sharing these. 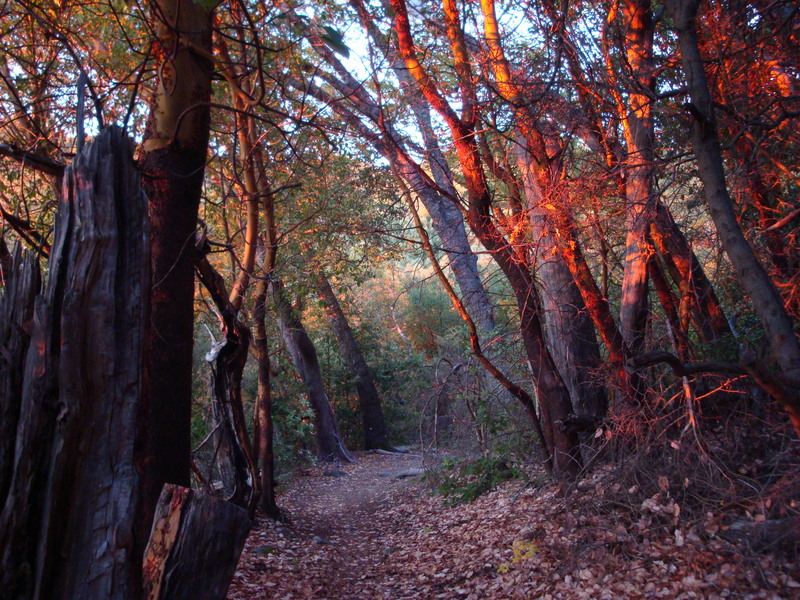 Hoping to see this trail myself sometime soon. It is possible to loop from Pine creek back to Mt. Carmel via the jeep road which travels through the wilderness NNE of mt carmel. 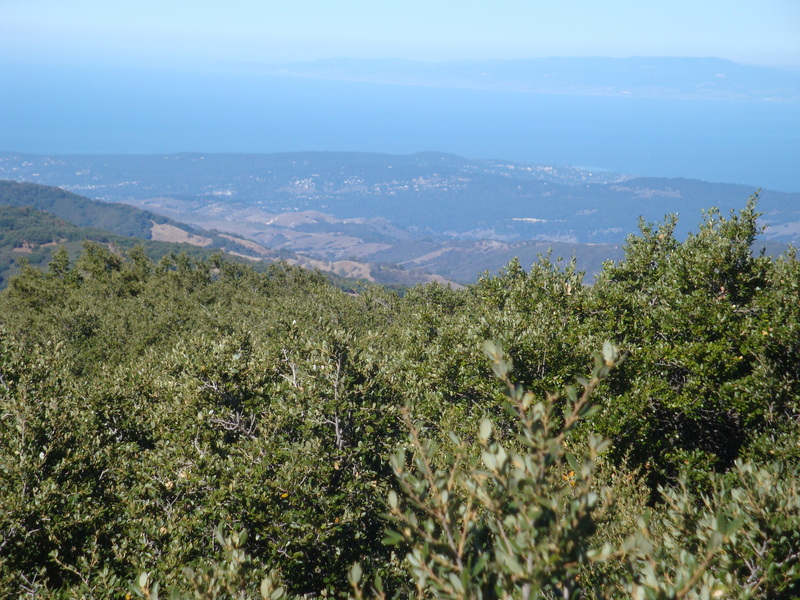 From that jeep roads highest point there is a trail directly to Mt Carmel. 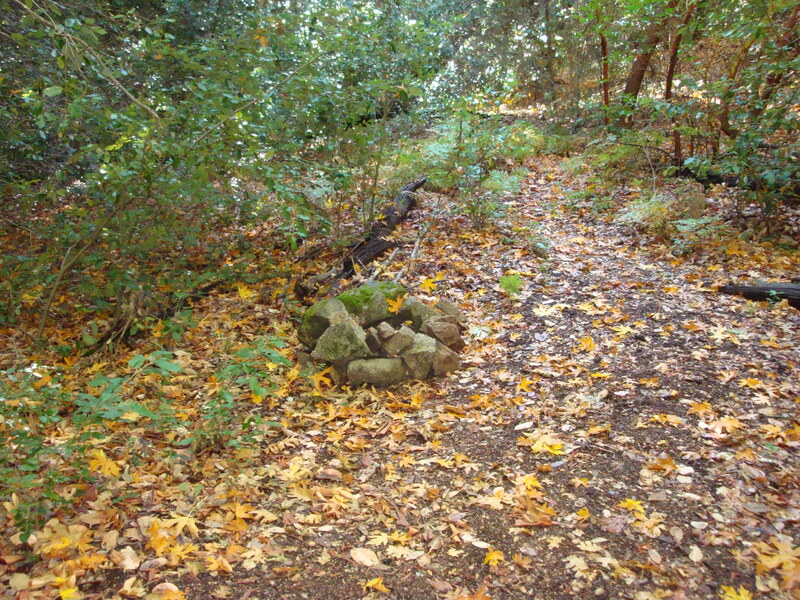 It appears that this route never enters white-rock private property. 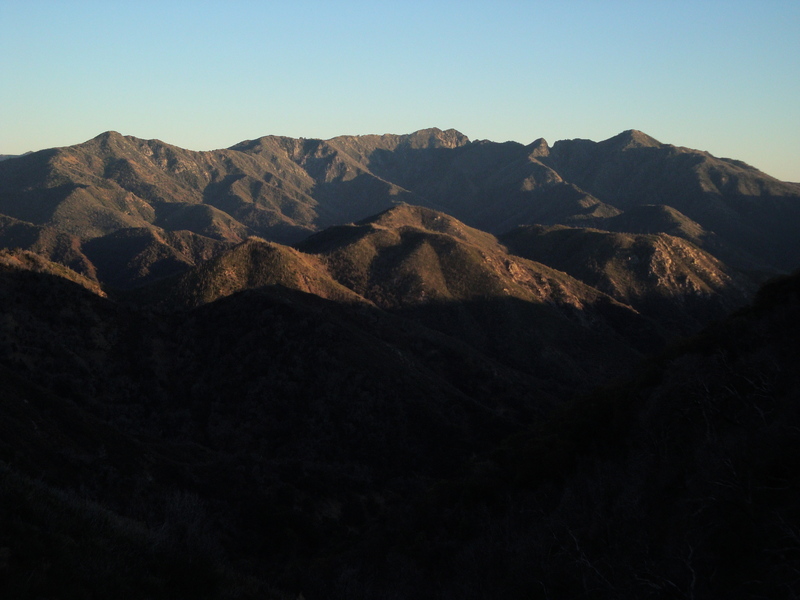 Close though it may be, you can’t currently access the Ventana Wilderness from the Robinson Canyon Rd. without crossing private property. 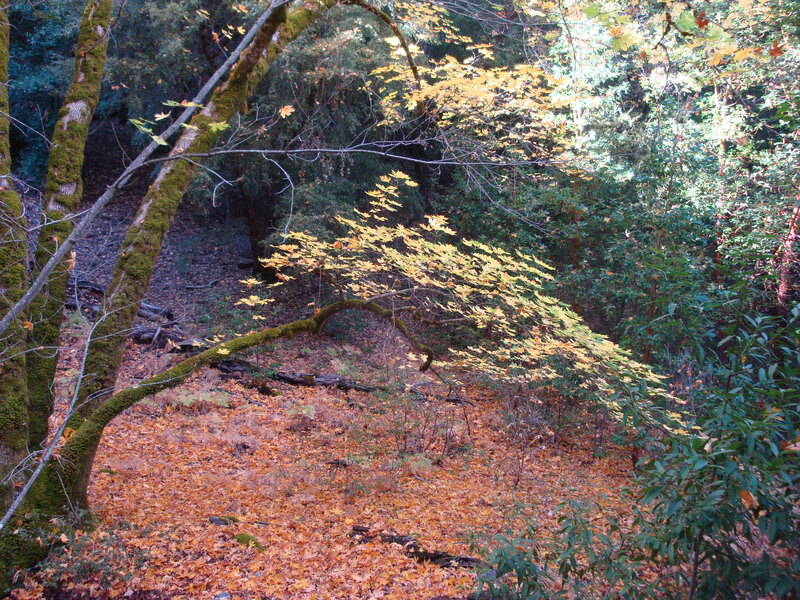 Georgia’s loop stays within the National Forest and does not reach the Robinson Canyon Rd. 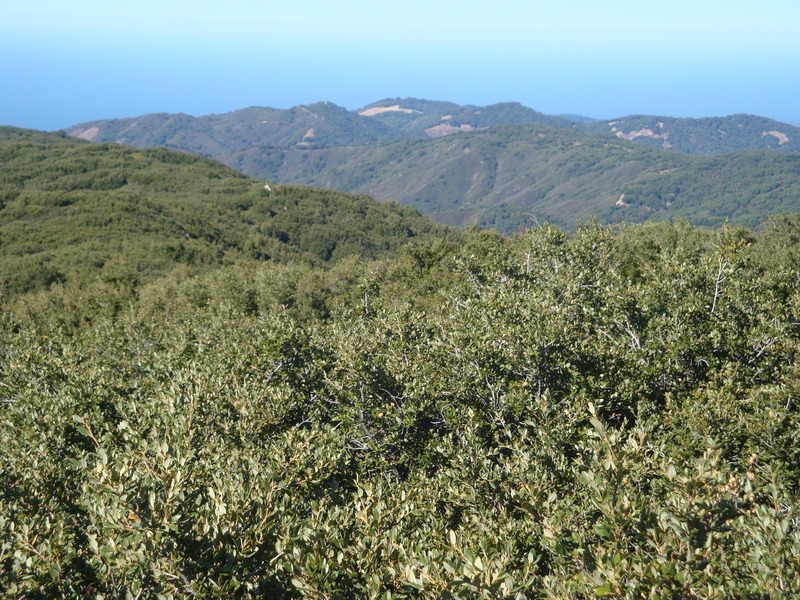 just to be clarify – the 4wd jeep road that travels along ‘white rock ridge’ westward from the end of robinson canyon rd (and almost reaching garapata park) is all on private land? sorry if that seems like a no brainer. Actually, a lot of that road is now on public land. 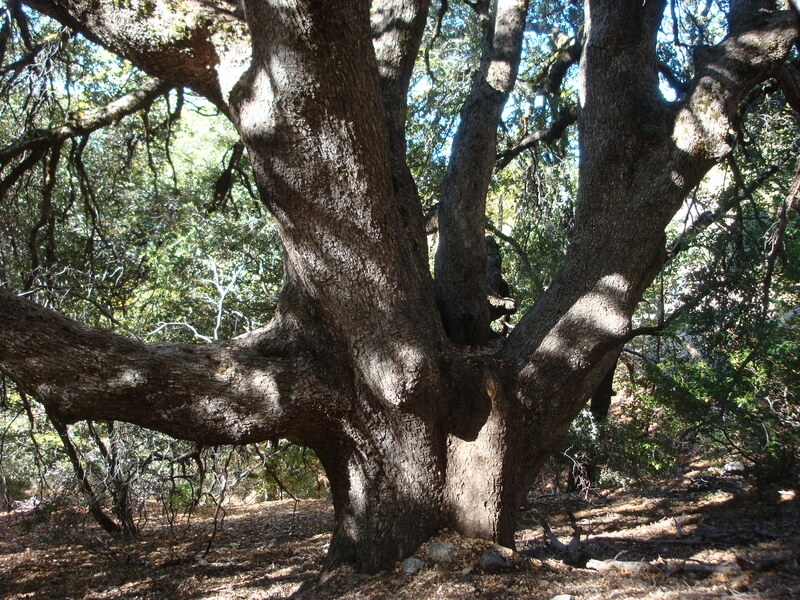 Where it reaches Robinson Canyon Rd., however, it is on private land.